With the explosive growth in popularity of cultural tourism, Native American tribes are poised to reap the benefits of travelers looking for authentic experiences. As with all things, however, carelessly managed growth can result in poorly attended programs or on the flip side overtouristed, unsustainable programming. 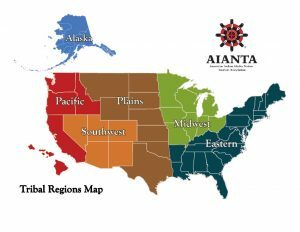 As AIANTA takes the lead in helping tribes develop tourism programs that reflect their own values and traditions, the organization is also looking for strong leadership to help be a part of building partnerships and programs and advocating for Indian Country tourism at local, regional and national levels. AIANTA is currently seeking representatives from our Midwest (Illinois, Indiana, Iowa, Kentucky, Michigan, Minnesota, Missouri, Ohio, Wisconsin), Pacific (California, Hawaii, Idaho, Oregon, Washington) and Plains (Kansas, Montana, Nebraska, North Dakota, Oklahoma, South Dakota, Texas, Wyoming) regions. If selected, the new Board members will fill existing vacancies and serve until that term expires. Board members can then run for election at the following American Indian Tourism Conference for a full three-year term. The 21st American Indian Tourism Conference will be held September 16-19, 2019 at the Hard Rock Hotel and Casino in Tulsa, Oklahoma. Interested parties may download a Board Application here. Or meet our current Board of Directors here. For more information, please call the AIANTA office at (505) 724-3592.